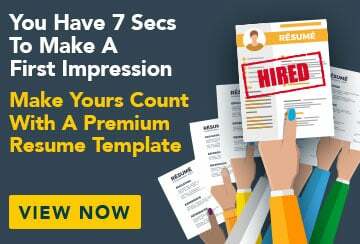 This sample job advertisement has an accompanying trainee blast hole driller sample resume and trainee blast hole driller sample cover letter specifically written to help you put together a winning job application. This is a fantastic opportunity for an energetic go-getter who wants on-the-job training in blast hole drilling. This experience will provide valuable career development and progression for someone who wants to enjoy an exciting career in the mining industry. Dynamic Drillers is a drilling contracting company which works with some of WA’s largest mining companies. As a trainee with our organisation, you will be joining one of the leading companies in the business. In this role you will learn various drill and blast functions on various sites over a 12-month period, providing support to the drilling team and promoting a safe working environment while achieving high operational performance. You will operate a variety of blast hole rigs and be required to operate rod trucks, stemming trucks, watercarts and drills, as well as perform other duties as required. All our clients offer competitive hourly rates and excellent accommodation facilities. You will need to be physically fit and be able to work 12-hour days and nights, in all weather conditions. A Senior First Aid Certificate is advantageous. If this sounds like you, please send your resume and cover letter to george.stavros@email.com.